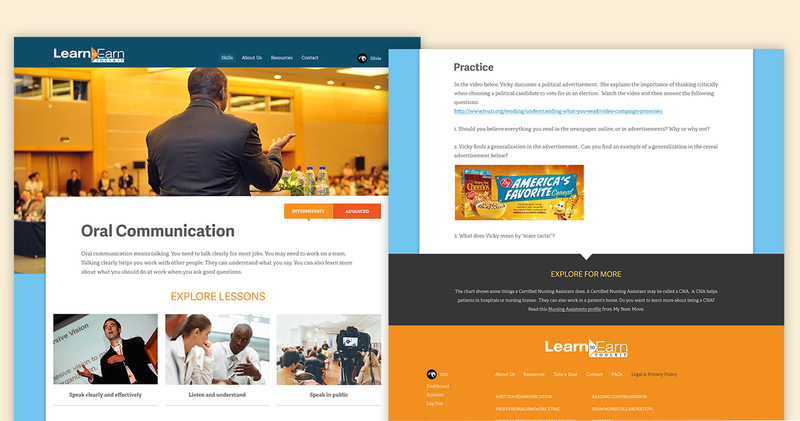 Welcome to the Learn to Earn Toolkit! You can see the ten skills to study on the home page. Choose a skill and start learning! You’ll find an introduction to read for each skill. Read the overview, practice the skill, and explore more information about the topic. You will find three articles for each skill. Read the articles to learn about each topic. You’ll find vocabulary words to help you learn more. You can use the Word Wheel to see how many words you learn. Take a quiz after each article to add that skill to your work-related skills list. Use the Dashboard page to see which skills you have learned. Print your list to include with job applications. Instructors can select the My Students tab to add students and see their progress.